If you want to learn how to create fake email ID within a second, then you are at right place as here we will let you know some of the best websites that will help you to create a fake email address to bypass some of the website notifications or share your details to anonymous sites or more. Even if you are working on multiple websites, then t will protect your original email address from spam, and the best thing is all these are a permanent email address, so you don’t have to worry if in case you will get some important emails on it. In the digital era, the Email address is the digital identity of the person on which person receive emails to others and receive from others that’s why you have to provide the valid details while creating your email id. But how do you feel if we said that you do not need your valid details to create an email address? Yes, it is true, with the Fake Email Address Creator apps you can do the same thing and delete it when your work is done! The method given here is easy and simple, and the best part is you do not need to provide any personal details to get it. So check it. 10 Minute Mail provide your temporary email address by generating a random email. If anyone sent the email to this address, then it will be shown on the webpage directly. From the website you can check them, open the attached links and reply them. But as per the name suggest the address will remain live to 10 minutes only, after that, it will expire. If we consider the most user-friendly one, then GuerrillaMail is one of them. With it, you will easily get a disposable email ID. What you have to do is enter details, and it will generate a fake email ID. With this fake email id, you can even send an attachment to the recipients up to 150 MB. Even with this email, you can verify some websites that need email address approval. It is another disposable email address provider, and you can use the service for free. You can use it for any inbox, anytime, any email address and for any website. 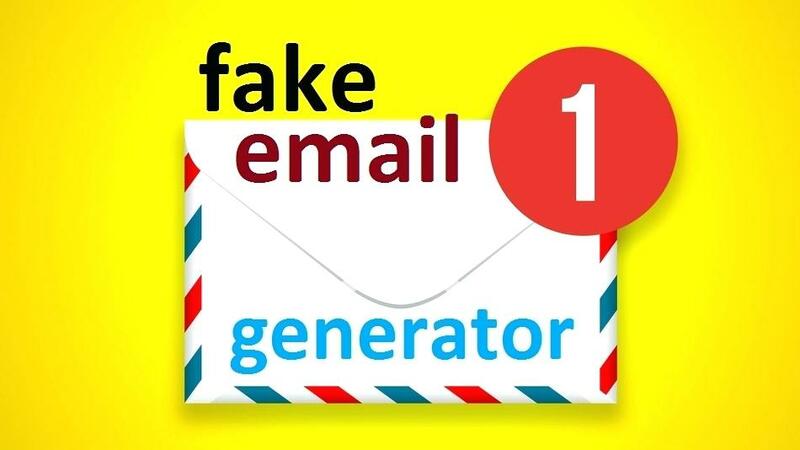 Once you create your fake email account, you can receive the emails, and after receiving the mail within a few hours, it will be auto-deleted. A maildrop is a great option when you want to sign up on the website, and it needs your email address for notification or advertisement. Why MailDrop is in this list is due to the powerful spam filters that block all spam attempts and emails before it reaches to your inbox. Heluna creates the spam filter and works almost similar to the Mailinator. Here you can create a temporary email address that used to verify sites or log in to some risky websites. AirMail is another temporary free email service that helps you to provide a random email address. You can use it while test-driving untrusted services or registering to new websites. All emails that your new email address received displayed on your online browser inbox. This email service is the last one on our list. When you visit the ThrowAwayMail from your browser, it will create a new email address within a few seconds for you. It can receive email and show on the main page of the site. No one else can see all the emails that you received. It is all about how to create a fake email address within a few seconds. We hope you like it, what do you say? Share your thoughts with us. Thank you!